The product design of condom machine is designed well but the location of that is wrongly placed. The product design of condom machine is designed well but the location of that is wrongly placed. Many people are feeling shy to buy a condom from open space. Excellent Design in Systems thinking. 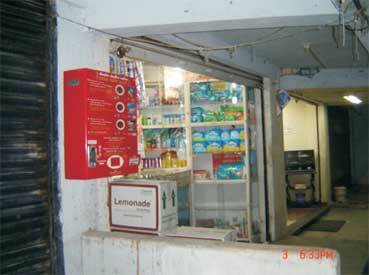 The right position of condom machine may solve our counry AIDS problem(worlds highest). My vote is for U. You identified social problem, that has huge impact on society and it is part of systems Design.The solution given is so simple yet wonderfull.